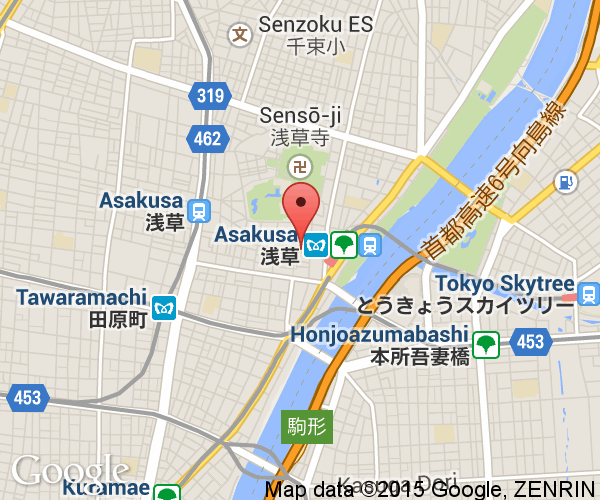 Asakusa is 10 minutes east of Ueno on the subway and beside the Sumida River (隅田川). Since the Edo period, the river banks in Asakusa have been a famous place to view cherry blossoms in the spring. Very little of the rich cultural history of Tokyo past remains intact from before its razing and rebirth of the city as a world metropolis. Ginza, Roppongi, Harajuku and other sections are the pillars of the new social order that rose with the new international city. In contrast, Asakusa (浅草), part of the old city center, is one of the few places that has remained true to its roots and this makes it one of the most popular places to visit in Tokyo. Asakusa was part of the old downtown district of Tokyo called Shitamachi (下町) or literally lower town. For most of the 1900s, the area was infamous for being the entertainment district of Tokyo. The bright neon lights of other sections of Tokyo lured this element away and, today, the main tourist draw is the temples and shrines. Numerous festivals (masturi) are held in Asakusa. 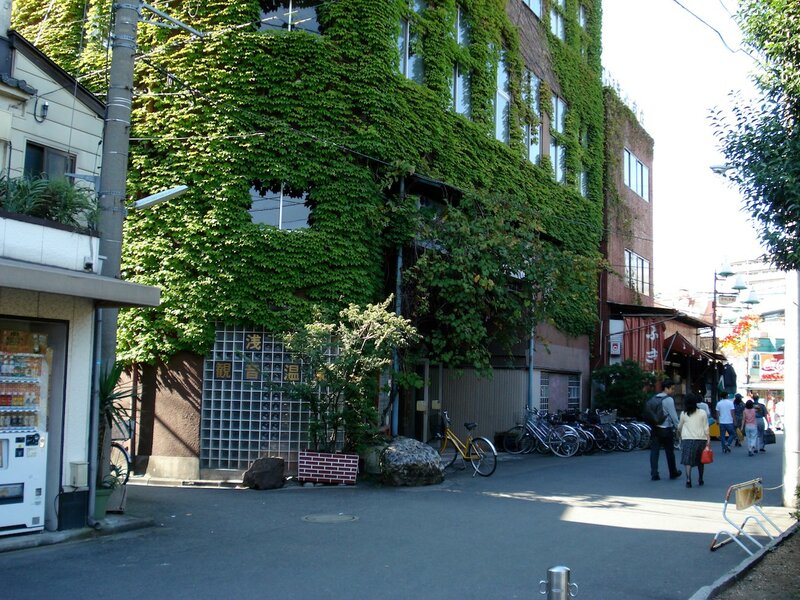 Kappabashi Street is famous for its restaurant supply stores. If you're looking for dishes, pots, pans or plastic food then this is where you need to go. It is one of many shopping districts in Tokyo dedicated to a single theme. Sensoji Temple is the center of the charm of Tokyo's Asakusa district and is the oldest and most famous Buddhist temple in Tokyo. The Sanja Matsuri occurs here in May. 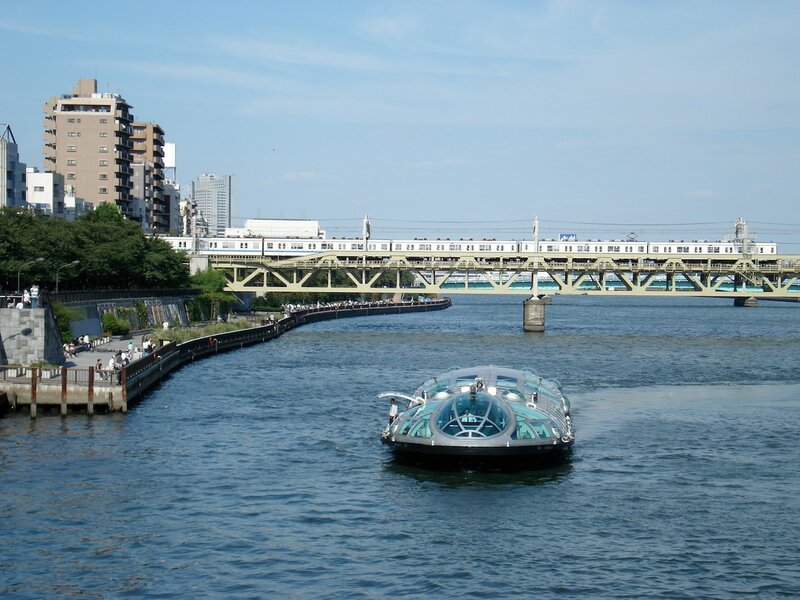 Ferries depart regularly from the terminal next to Asakusa Station down the Sumida River to the Hinode Pier (near Ginza) and Odaiba. It costs a bit over 700 yen and 1,500 yen, respectively. Japan's tallest structure at 634m is located across the Sumida River from Asakusa. It was completed in 2012 and offers the highest viewing platform in the city at 450m. A short subway ride separates it and Sensoji Temple. The Asakusa Kanon Onsen is not the best Japan has to offer, but it is conveniently located to the left of the main temple building at Senjoji. The hotels in the area are quite reasonably priced. 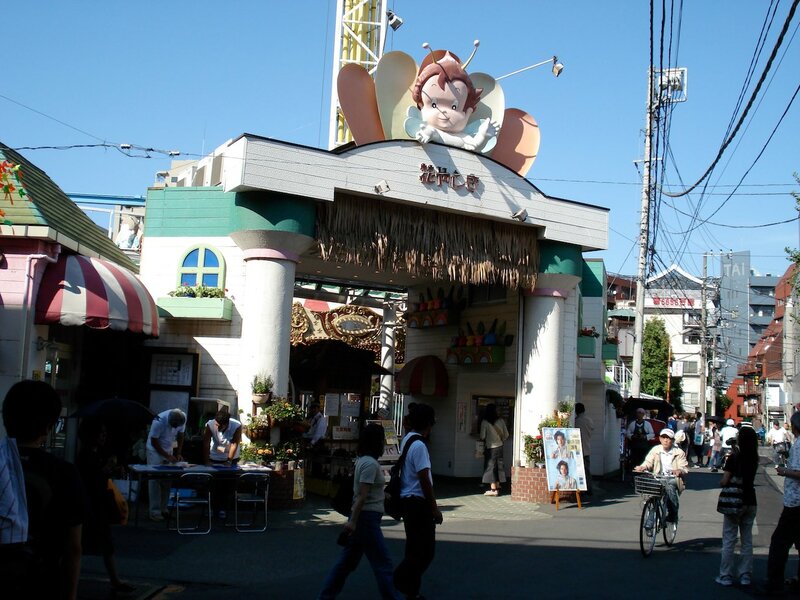 Hanayashiki is a compact amusement park to the north west of Senjoji Temple. It first opened as a flower park in 1853 and reopened as a carnival-style amusement park after the war. One ride ticket costs 100 yen and 1000 yen buys 11. 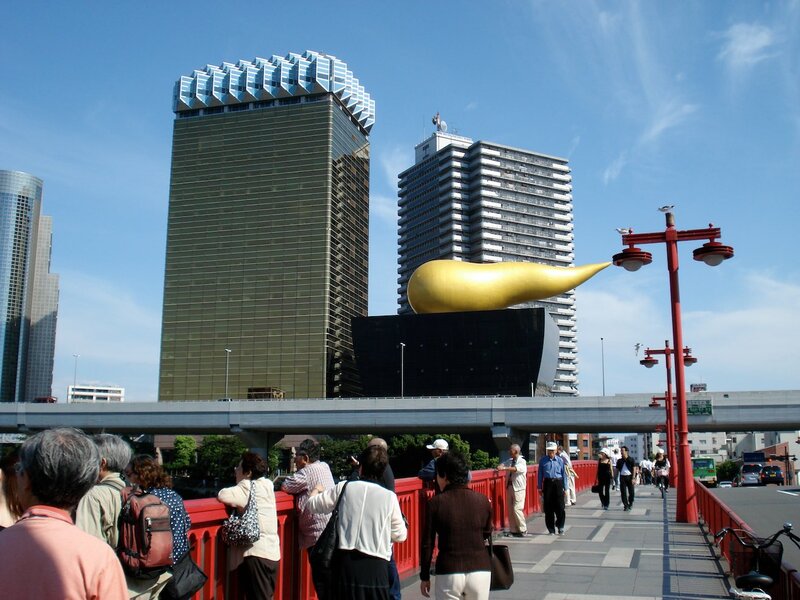 The headquarters of Japanese beverage giant, Asahi, is located across the Sumida River from near Asakusa Station. The two landmark buildings were designed to look like a foaming mug of beer and a factory flame by French Architect, Philippe Starck. The former is affectionately called the "golden turd" by locals. Asakusa is east of Ueno and roughly northeast of JR Tokyo Station. The Asakusa Subway Line run by the city is the easiest way to reach Asakusa. This line can be easily boarded by transferring at JR Ueno Station or JR Kanda Station. This line also goes through Ginza, Shinbashi and all the way to Shibuya. 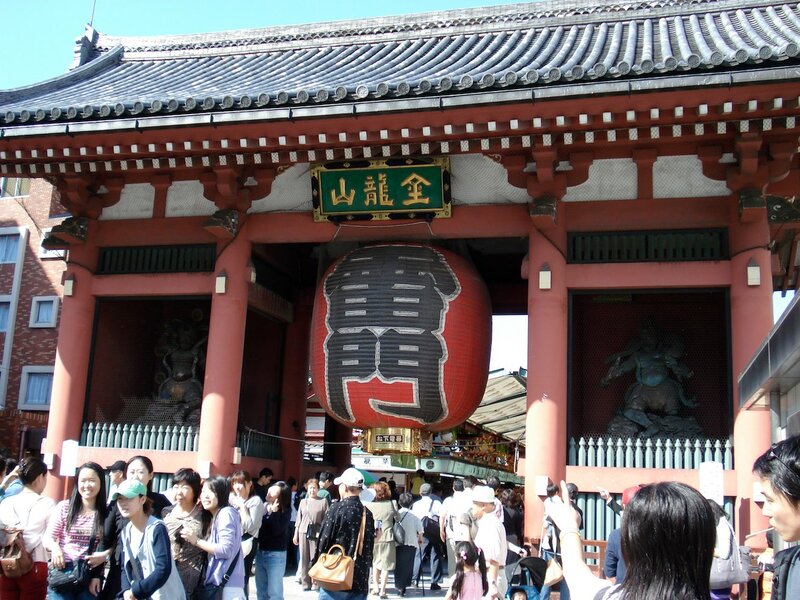 Nikko can be reached from Asakusa on the Tobu train line which terminates at Asakusa.